Dr. Suzanne grew up in Peoria and has lived here all her life. In fact, she first started going to Dunlap Vet with her own childhood pets. When she was growing up, her grandfather used to help her catch all kinds of creatures such as bugs, bunnies, snakes and more—this helped confirm her desire to work with animals, and she eventually attended the University of Illinois for veterinary school. Dr. Suzanne lives with two lion head rabbits named Henry and Bentley. Henry was adopted from PAWS and Bentley has one blind eye which doesn’t stop him from anything! 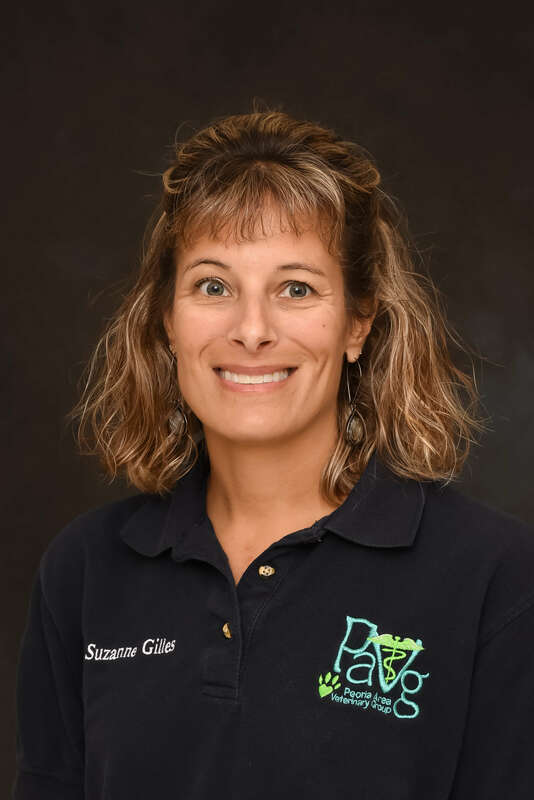 In her free time, Dr. Suzanne enjoys running, hiking and spending time with her children and husband.